We’ve had rain…. and more rain…. 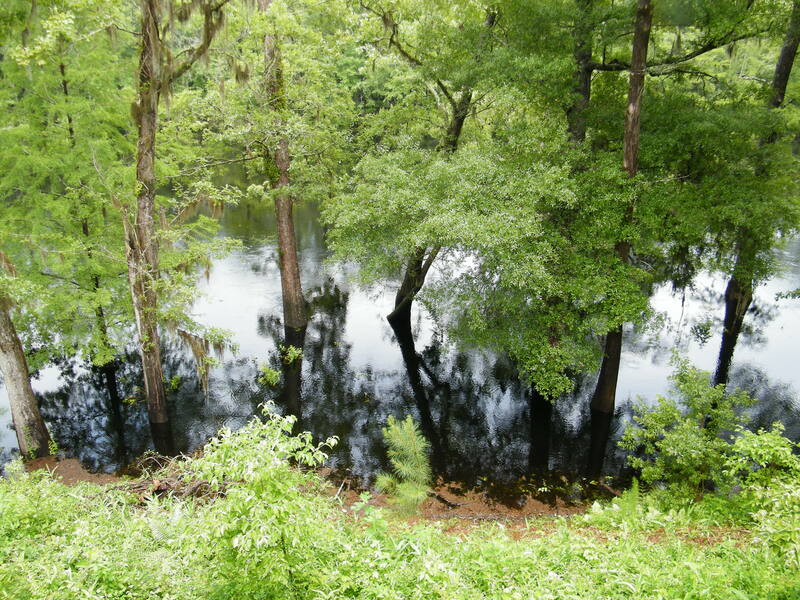 so much rain the river is just about our of the banks! 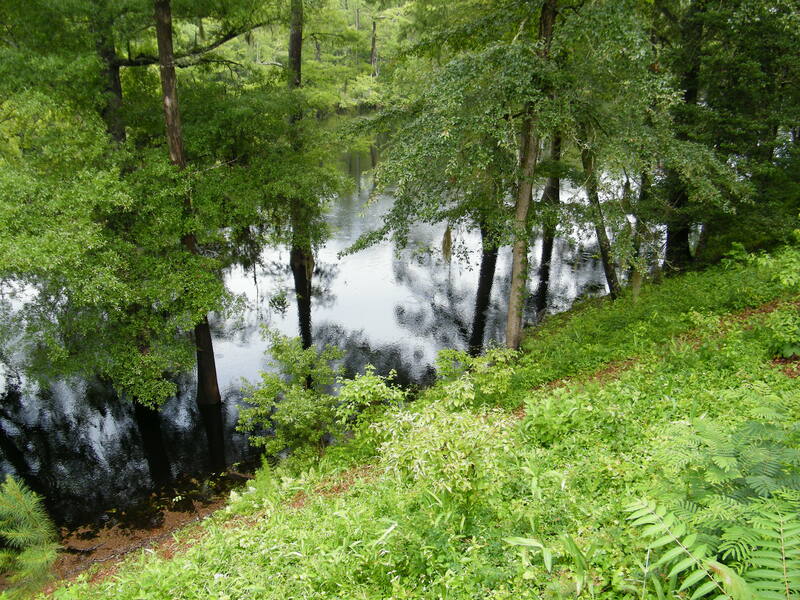 In both of the pictures the water is up on our Bank about 4.5-5 feet. 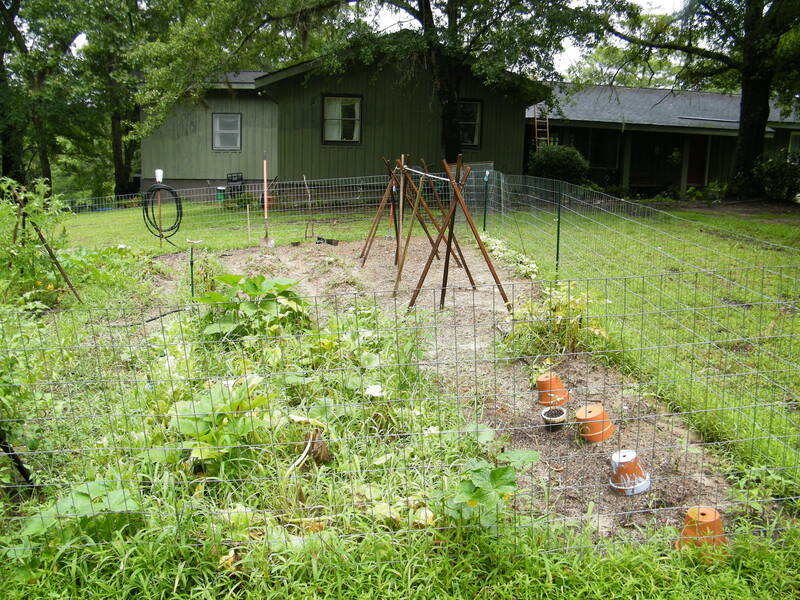 I’m not complaining about the rain… because it is so good for my gardens! I haven’t had time or dry enough weather to work the weeds, but this yard has NEVER been this green! I did have time to work on this d=side to pull up the early peas and re-plant the area with string beans for later this summer. I love how my youngest son has made all my tripods and trellis stands with boy Scouting lashings. 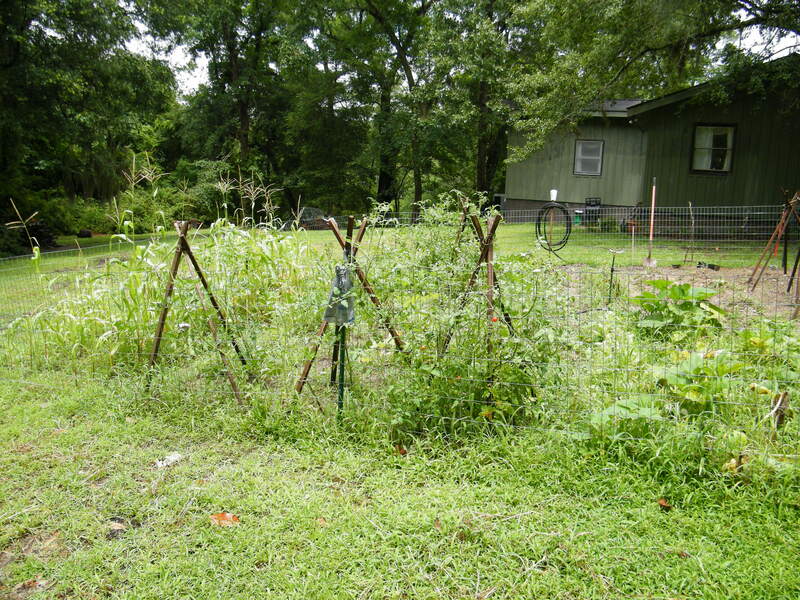 I have been ble to stagger plant the tomatoes to prolong the harvesting through the summer an hopefully into early fall. 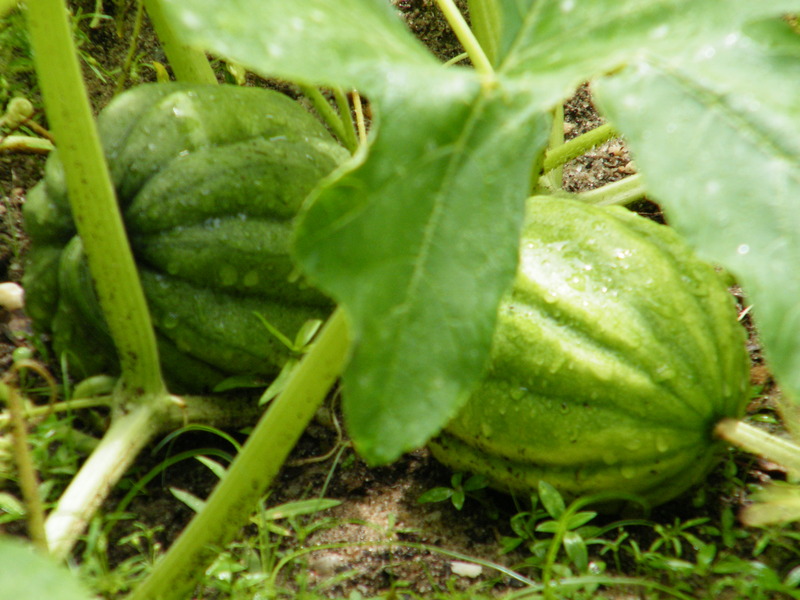 Also on the horizon for teh fall… pumpkins and squash yummy!!! Not only are the veggies doing well… but my flowers are just about to burst open!!! Since it has been raining I have taken on a fun spinning project. I’ve taken all the “tester” dyed locks and rovings and created a fun yarn. 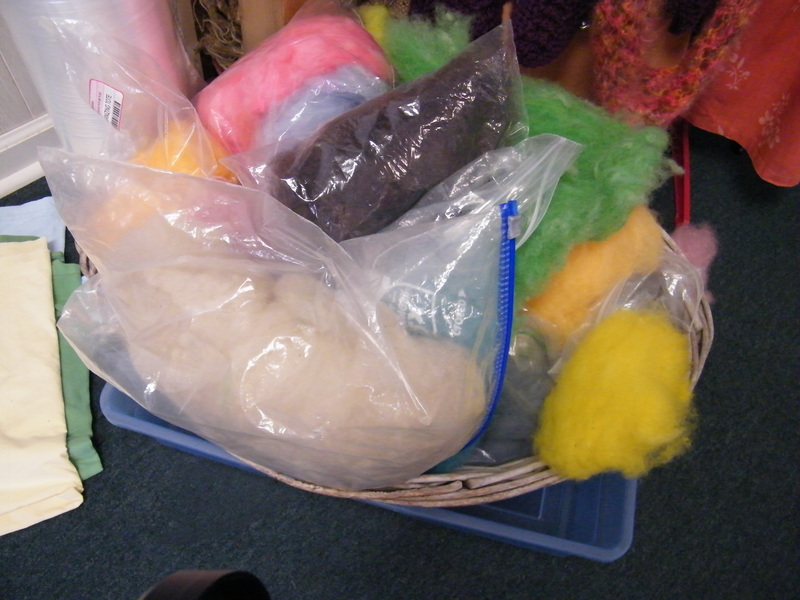 This is a basket of assorted colors, I first combined them to spin two singles of yarn. All random colors and lengths. The first spool I spun the colors in short lengths, alternating the colors quickly. 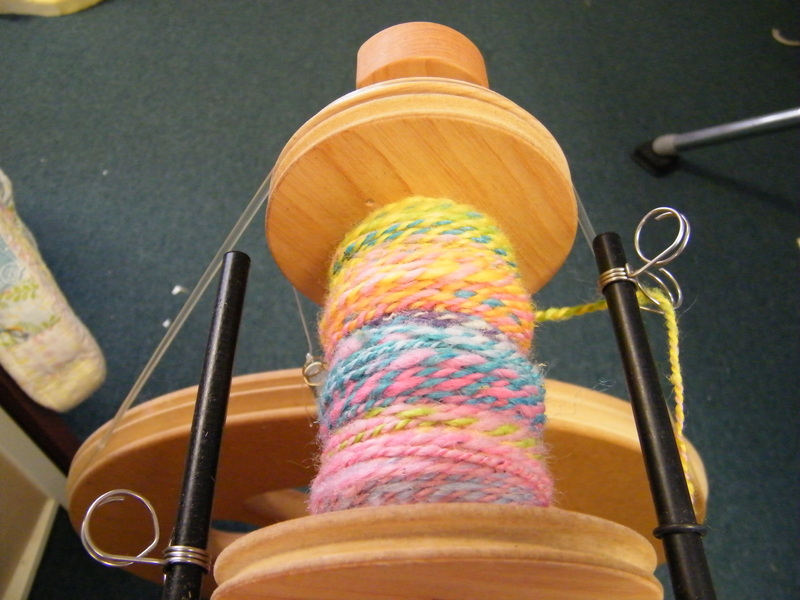 The second spool I spun yards of colors. I am so loving my Ashford Kiwi 2 with it’s large bobbins. I have the standard flyer that comes with the wheel, not the jumbo flyer with larger orifice. Depending on how full I ply the yarn onto the spool and how thin or thick I spin I was able to get 191 yards on one spool. 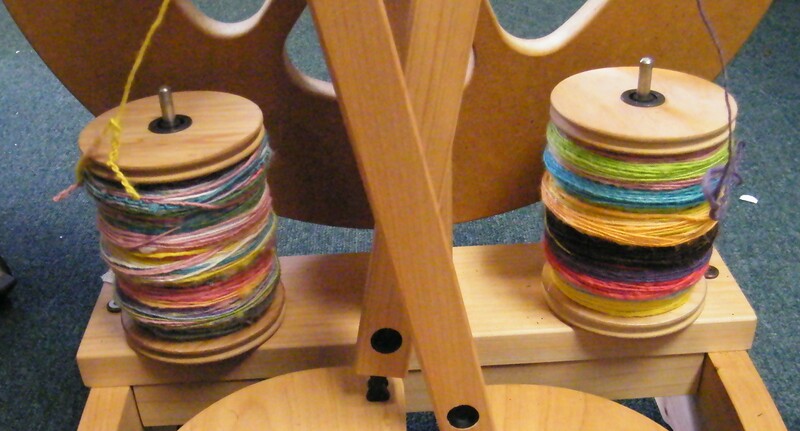 When I plied them it was like a party of color, constantly changing, but still a pattern formed. I will have one more spool of this yummy yarn which by using the niddy-noddy to measure I am estimating I should end up with 700+ yards. The WPI tells me I am getting a DK weight yarns, since this is a hand everything yarn I have thicker places and thinner places, but… I’m so happy the way it’s turning out! 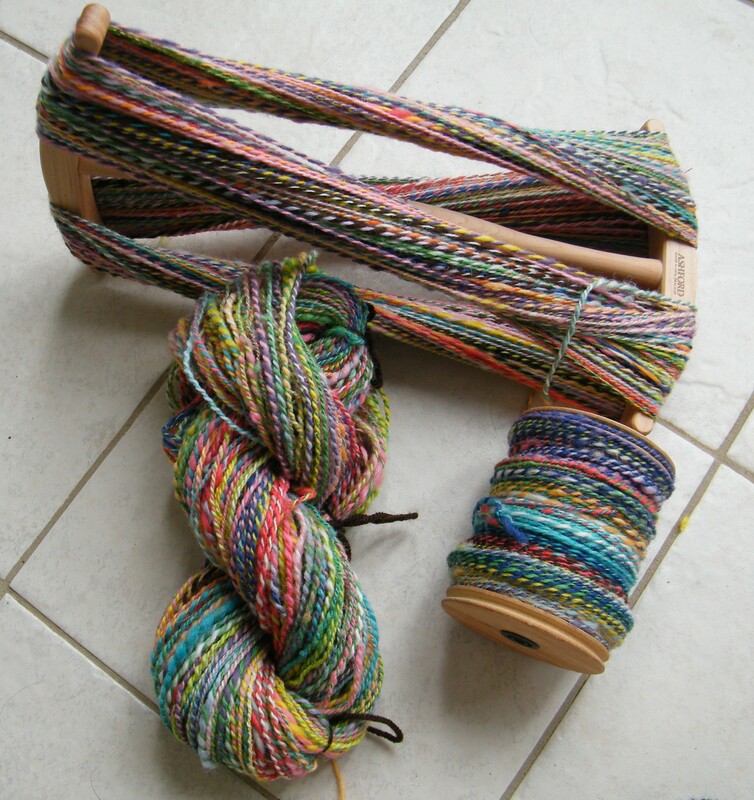 While spinning I do have visions of bright socks or a colorful shawl …. LOOOOVE the color-party!!! Can’t wait to see what you knit! And I was just noticing the lashed tripods when I read your son the Boy Scout comment!! LOL!! Garden’s looking good! Wondered what you were up to!?! 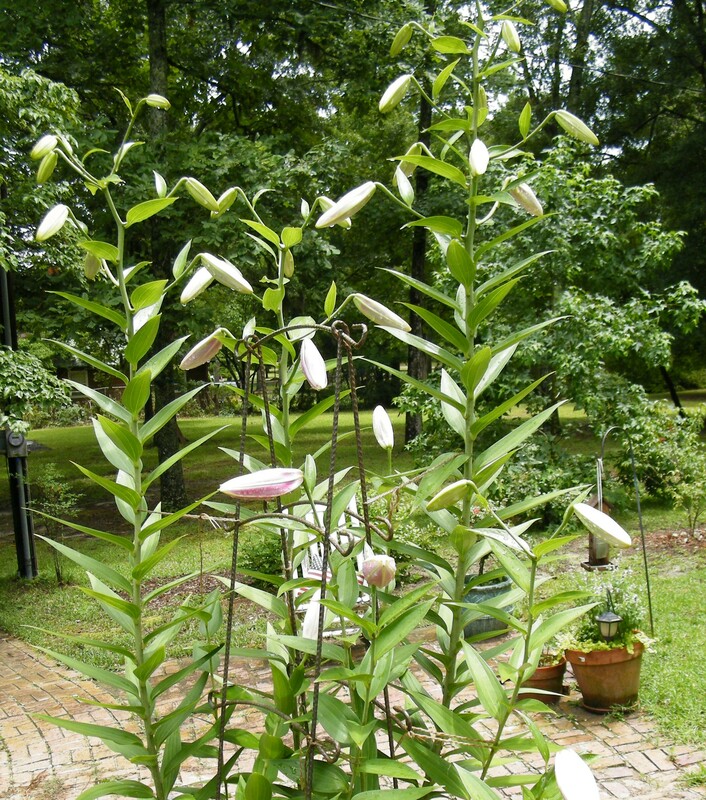 Please post a photo when those lilies open. Looks like great pumpkins this autumn. Love how your luscious wool becomes such gorgeous yarn!!! Beautiful yarn! You’ve inspired me to try more new things, and I can’t wait!